Ticket management just got a lot easier with Zoho Desk. With the work modes, Ticket Peek, Advanced Response Editor, and Collision Detection, you can simply log in, focus, and deliver. 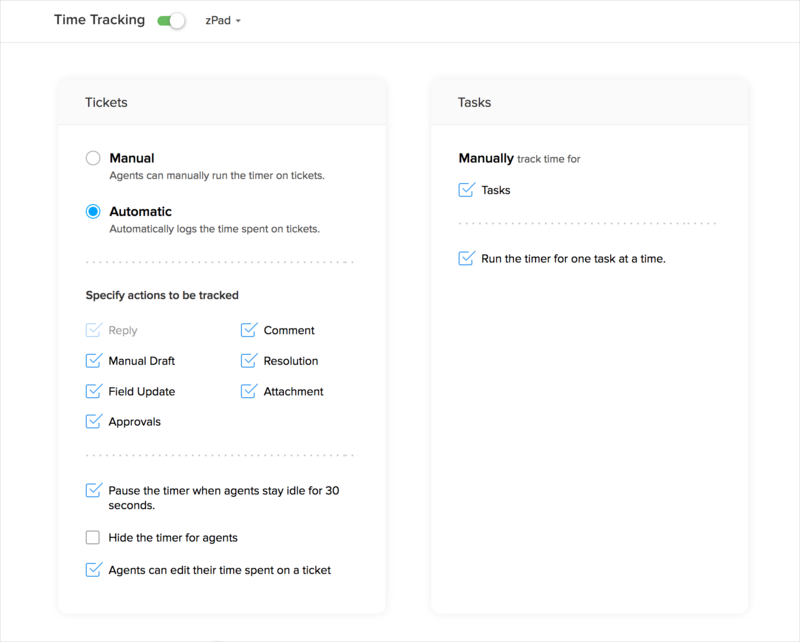 Zoho Desk offers different ticket views to help you automatically organize your tickets based on priority, due time, status, or CRM status. This helps your agents save time deciding which ticket needs their attention first. Get a quick peek to decide. 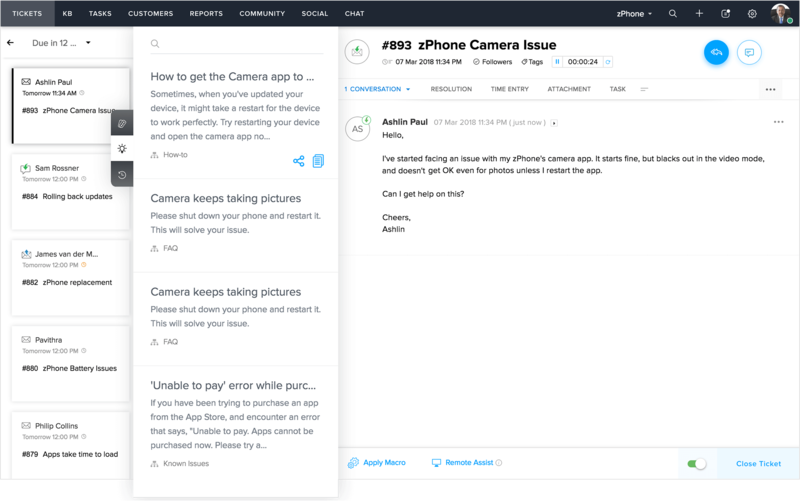 Ticket Peek shows a preview of every interaction your team has had with the customer, as well as the ticket's properties and any related articles from the Knowledge Base. This way, navigating between tickets is easier, and you can quickly verify the contents before assigning, deleting, or marking them as spam. Tailor your responses to suit the situation with the Advanced Response Editor. You can respond much faster using Snippets, intuitive keyboard shortcuts. If you need advice from external partners and consultants, you can simply mark the entire thread as 'Private' and forward the conversation to them for context. Zoho Desk is armed with features to increase your team's efficiency in ticket resolution: Agent Collision Detection makes sure that no two agents are ever working on the same ticket at the same time. Ticket tags help your teams save time by organizing them into different categories for future reference. Monitor the amount of time your agents spend on customer tickets and tasks. The time added to tickets can be exported to create invoices and bill customers. 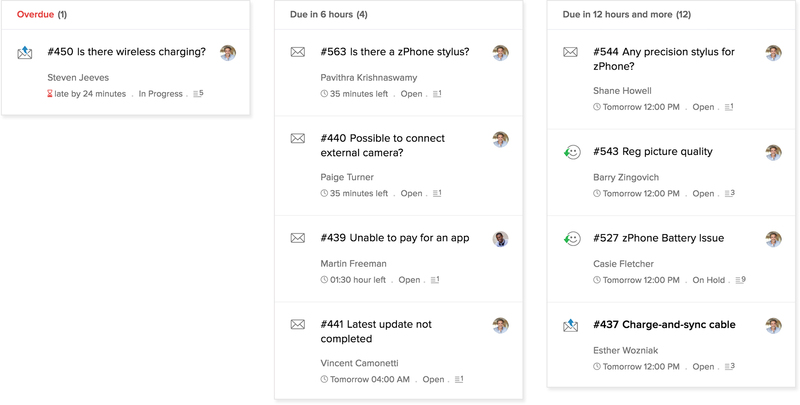 You can even get detailed insights from the built-in time tracking dashboard. Bridge the gap between your sales and support teams with the Zoho CRM integration. Your sales teams can respond to tickets from inside Zoho CRM, and your support team can view tickets from leads inside Zoho Desk. Inside a ticket, you can even see details like deal valuation and the product evaluated.